Signed and dated l.r. corner, pale blue oil "Shore 41". Australian artists'., Art in Australia [series 4, no. 4] , 'Paintings recently exhibited, Sydney, Dec 1941-Feb 1942, 66 (illus.). 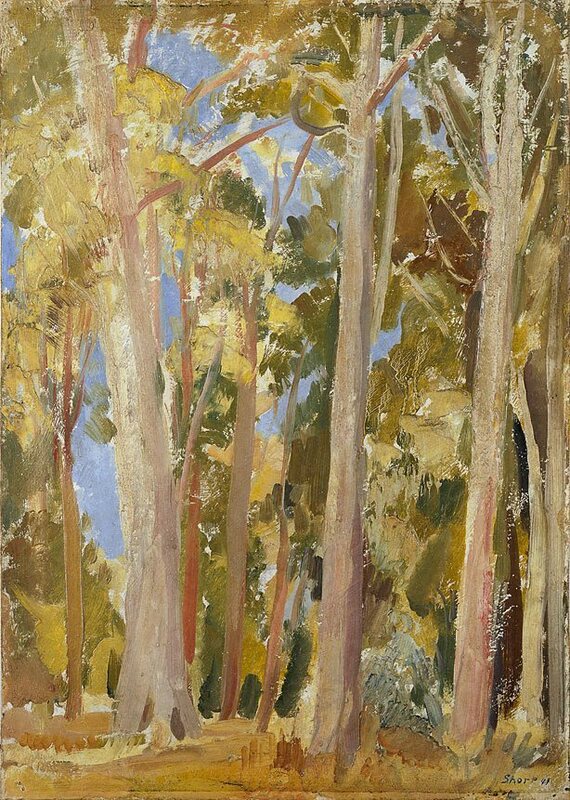 Barry Pearce, Australian art: in the Art Gallery of New South Wales , 'Earth, sky and paint', pg. 149-150, Sydney, 2000, 160 (colour illus. ), 302. Barry Pearce, Art Gallery of New South Wales handbook , 'Australian', pg. 13-35, Sydney, 1988, 24. A catalogue of Australian oil paintings in the National Art Gallery of New South Wales 1875-1952 , Sydney, 1953, 189. Misty moderns: Australian tonalists 1915-1950 , 'Max Meldrum and Australian modernism', pg. 89-110, Adelaide, 2008, 106, 109 (colour illus. ), 140. NOTE: Refer to Meldrum and Modernism in Melbourne section.